If you have a rock collection you want to sell, there are many ways to go about it. Rock collectors connect through several outlets whether it be via trade shows, eBay or a dealer. By knowing the details of your collection and staying current on hot-selling pieces, you can increase your chances of garnering a competitive profit. Maintain the natural appearance of the rocks. By limiting exposure to artificial lighting and keeping the rocks clean using simple household materials such as alcohol, you can protect your investment and increase the likelihood of future profit. Set up an organized system. If you plan to sell a rock collection, buyers are more attracted to collections that have detailed records, labels and complete information relating to the acquisition of each piece. Learn the names of the rocks in your collection. Expert buyers may prefer to deal with a seller who is well informed and knowledgeable about the different types of calcite or marble, for instance. Sell rocks from the best locations. For example, tourmaline from California is valued much higher than comparable tourmaline from Brazil or Connecticut. Trade it! You can avoid spending money on a new one since most rock collectors enjoy a good swap every now and then. Advertise it on the Internet. Popular websites like eBay can help you post your collection using color photos and set up minimum bidding for the sale of your goods. 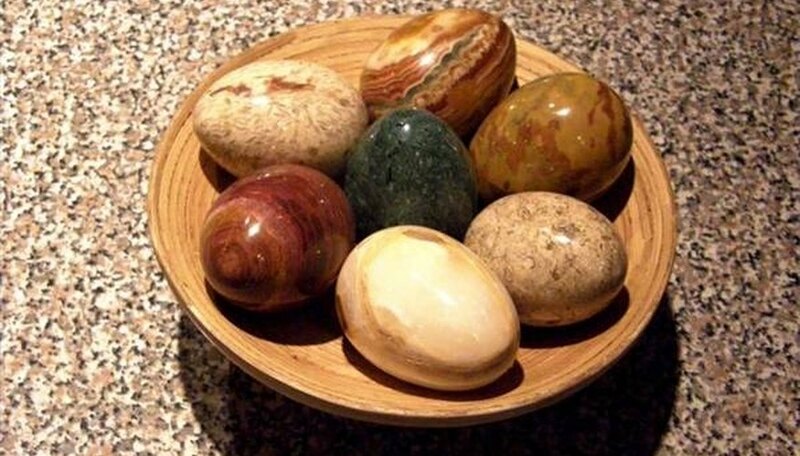 Contact a geology or natural history museum, especially if you are a collector of rare rocks. Often, museums are interested in the hard-to-find pieces not generally available to the public. Consider selling the collection in parts or as a whole. Some potential buyers opt for individual pieces such as particular types of crystal in a collection rather than buying the entire group. Work with a dealer. Some operate exclusively online, while others can be reached in person. Many dealers will buy rock collections without ever seeing the collection, especially if you hold desirable pieces. Be ready to answer questions. Buyers often have many questions including price, transport, specimen size and count, dealers you've worked with, and the historical value and condition of the display, to name just a few. By keeping detailed records of each piece in your collection, you make it easier for potential buyers to quickly assess the value of your collection. Know that the lowest price will be assumed if you do not know the origin country or state of your rocks.